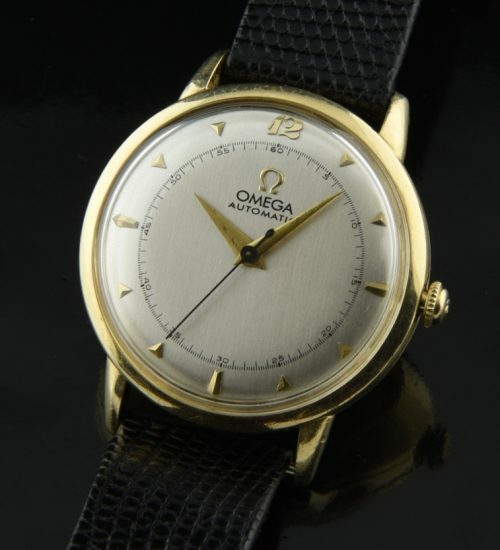 This is a 1949 OMEGA caliber 351 bumper winding automatic. 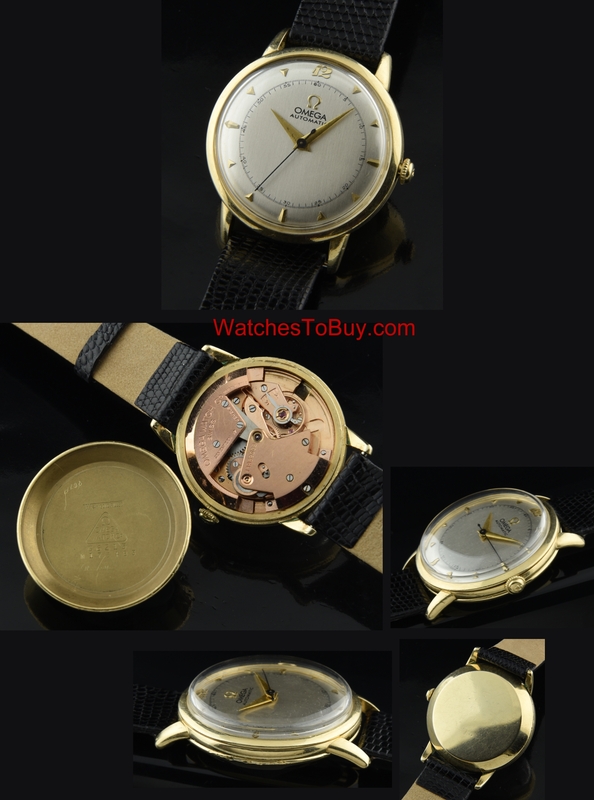 These bumper movements were amongst the FIRST automatic winding OMEGA watches. This movement was recently cleaned and accurate. The gold filled 32.3mm. case looks excellent and retains the correct OMEGA winding crown. The pristine silver dial print was restored and retains the original raised gold tone arrow markers an Dauphine hands along with the Breguet numeral 12. The Dauphine hands and blued steel sweep seconds are original.